Good Morning Junkies! Happy Saturday! 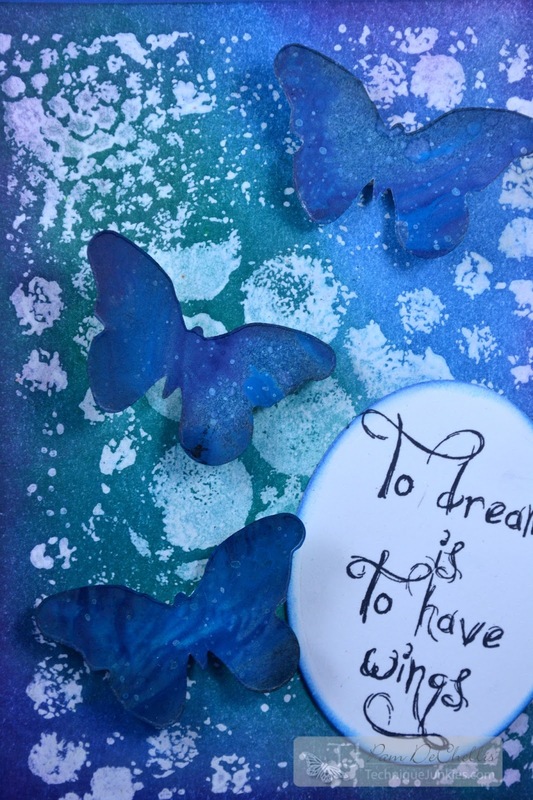 Pam here today and I am back in the studio after a fantastic two week vacation at the beach and so excited to be creating again! This week I am featuring two fantastic stamps fromTechnique Junkies Wasted from the Palettini collection and the sentiment Have Wings. I absolutely love the background stamp Wasted and for this card I stamped it with white acrylic paint to create a resist. To create the ethereal background Distress Inks were used over the resist. 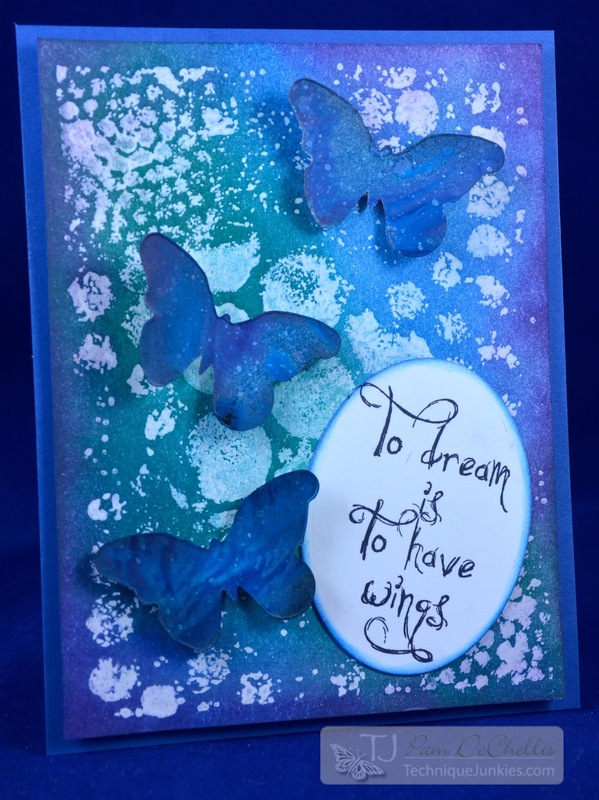 A second piece was also created with distress inks using the same colors and then the butterflies (Tim Holtz/Sizzix Movers and Shapers) were die cut from this to coordinate with the background. 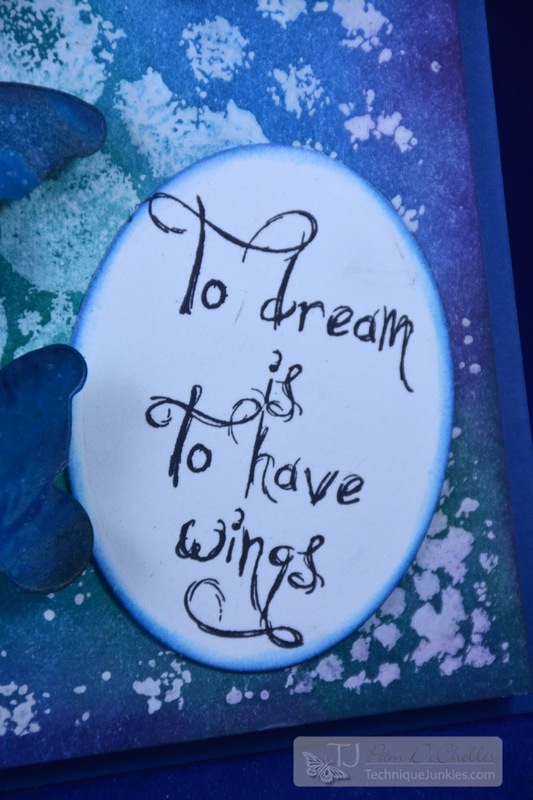 The sentiment Have Wings was just perfect to finish off this card! All pieces were adhered using homemade Xyron dimensional adhesive and the Xyron Creative Station. Thanks for joining me today and be sure to follow the TJ Design team blog and my blog for more great inspiration and techniques using TJ stamps.